Upstairs same floor as Dr. Brkich who is a natural path. 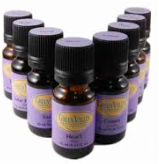 Here at Escape Wellness Massage each client chooses from a variety of different massage oils, which are handmade from different essential oils to boost the quality of each massage. Along with Heat to enhance the relaxation. Massage Oils for: Stress & Anxiety, Sore Achy Muscles, Joint Pain, Inflammation, Poor Circulation, Nerve Pain, and many more. Essential Oils - Oils that are obtained from plants. Owned and operated by Robyn, who graduated as a Certified Spa Practitioner in 2008. Escape Wellness Massage opened in 2012 in Houston B.C. Escape Wellness Massage later moved to Prince George B.C. in April 2015.
the help of essential oils."